It’s a tool that’s been used by marketers in their external marketing to get information about their businesses out in the public for decades: the press release. It’s a simple tool that allows professionals to shape business news in a story to capture people’s attention. But with the rise of the internet and resulting struggles within traditional print media, it’s time to ask the tough questions. Are press releases still worthwhile? Do they even work anymore? The answer isn’t quite as straightforward as you might think. The short answer to the question “do press releases work?” is both no and yes. 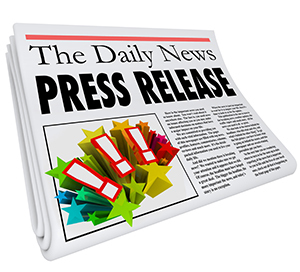 Originally press releases were designed to capture traditional media’s attention, so reporters would come and invest in a story about your business and provide press attention for you. You submitted a release and if a publication liked it, they would investigate more and potentially craft a piece around you. Nowadays, however, print media is shrinking. Many journalists have been cut and newspapers and magazines operate on smaller staffs. They don’t have time to investigate every press release for their own news stories. People aren’t using traditional mainstream media the way they used to, either. So publishing a press release “out there” may not get as much attention or even readership now as it used to in the past. Releases are not the most helpful for your SEO, either. This is because businesses used to use them to force spammy links back to their websites and “game” Google’s ranking system, until Google penalized this practice and knocked down the value of those links. This doesn’t mean that press releases are useless, however. They can be very beneficial for your external marketing—when you use them correctly. When you write a press release, make sure it’s an interesting story, not just some advertisement for your practice and what you can do. You want to capture people’s attention so they are interested in reading, not just skimming forgettable details about you or your practice. Also, target it at niche publications and outlets in your local area. Many towns have their own newspapers and online local news sites, but also magazines and hobby publications and more. If your news story is relevant to their readers (or radio listeners, or local TV program watchers, etc.) it’s more likely to be picked up and published. Ultimately, press releases, like other types of external marketing, can be valuable for raising awareness about your practice in your community—when they are written and used correctly. Like everything else, however, they are just one small facet in a well-rounded marketing plan. If you’re writing press releases and they aren’t working, our Virtual Marketing Director (VMD) Services might be able to help. Our content team can write top-notch press releases and help you get them out there. For more information about this or other external marketing strategies, check out our website or contact us. You can use our online forms or call (717)725-2679.